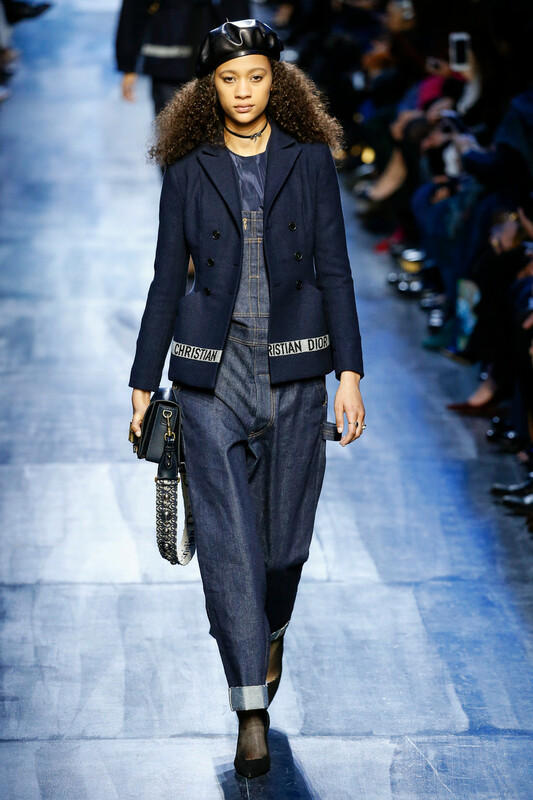 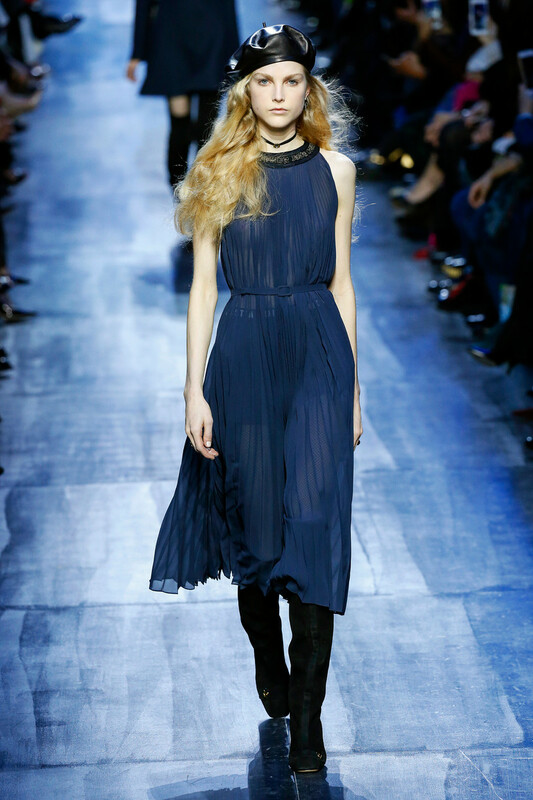 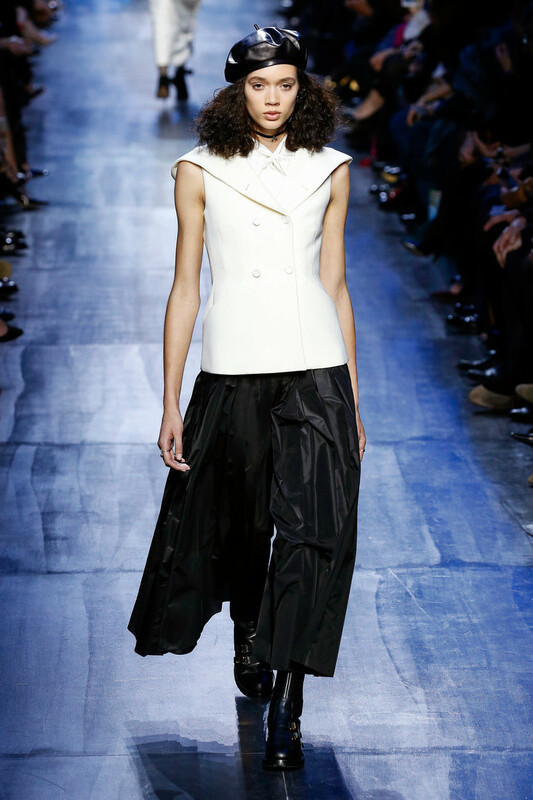 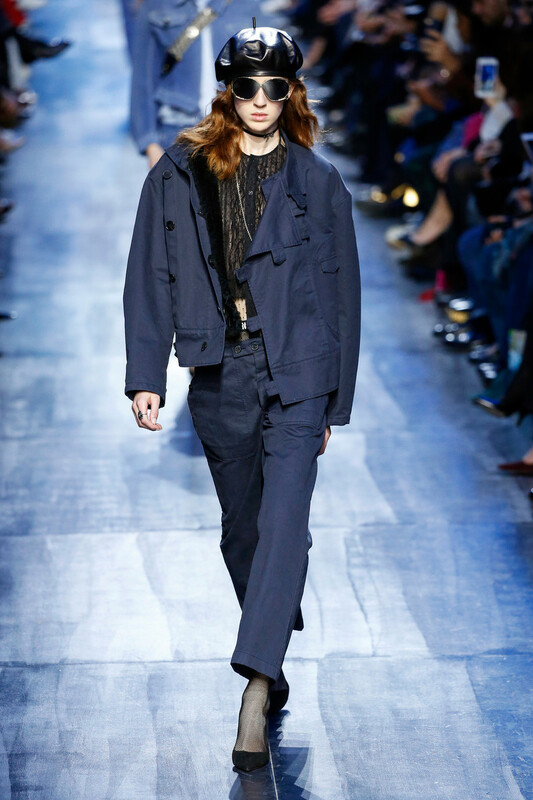 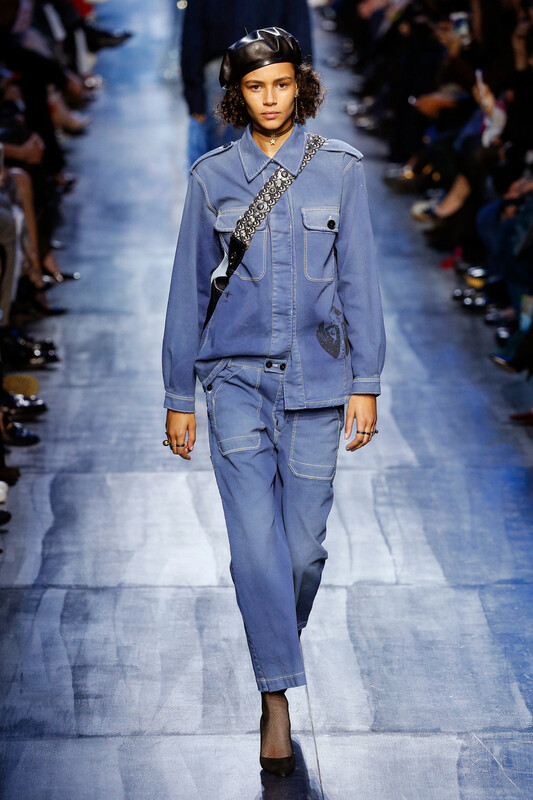 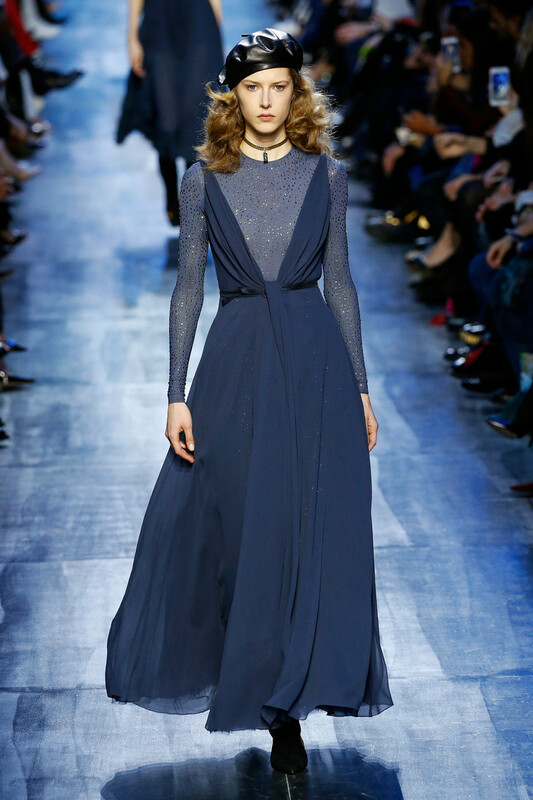 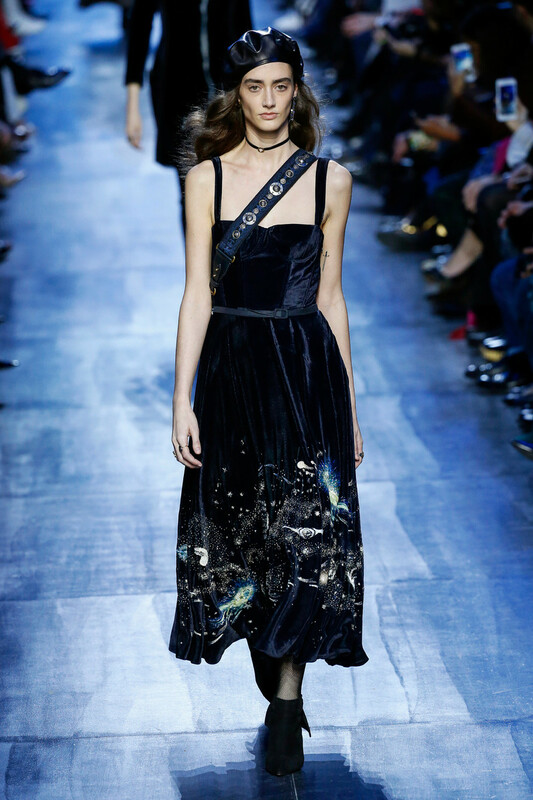 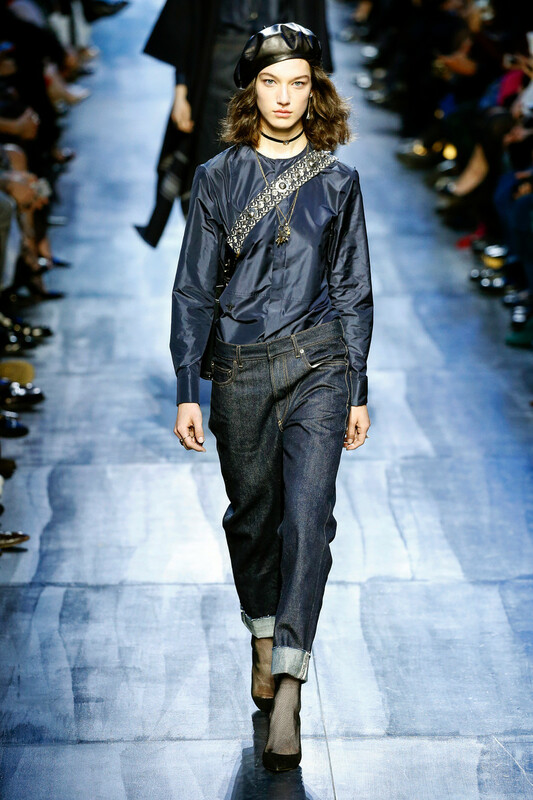 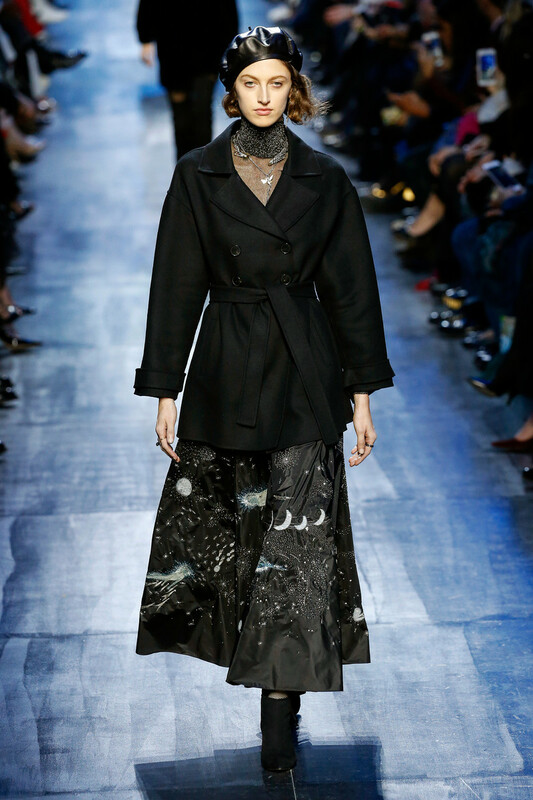 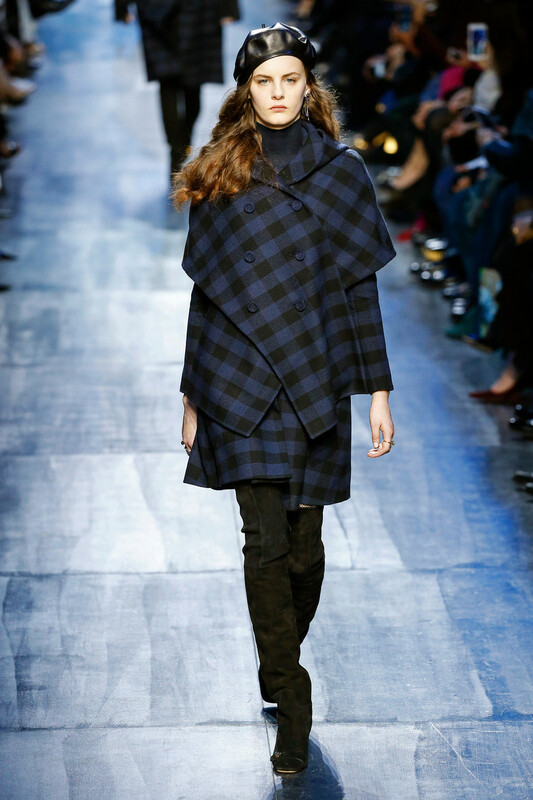 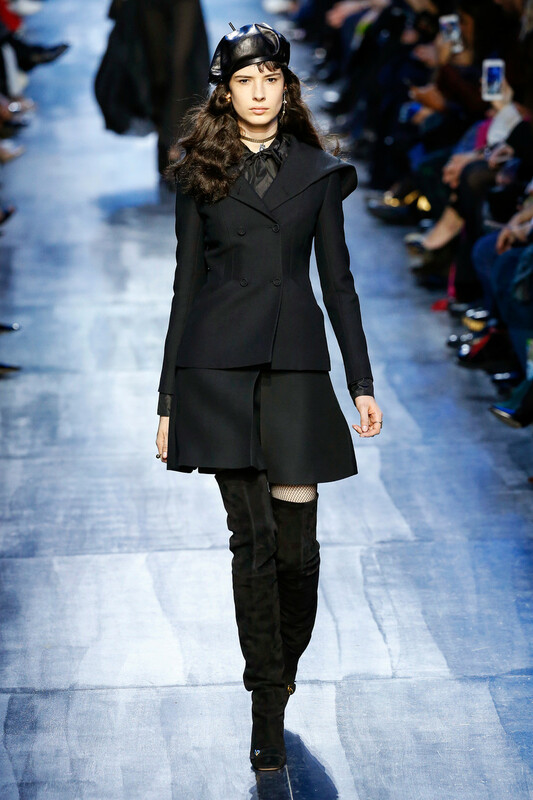 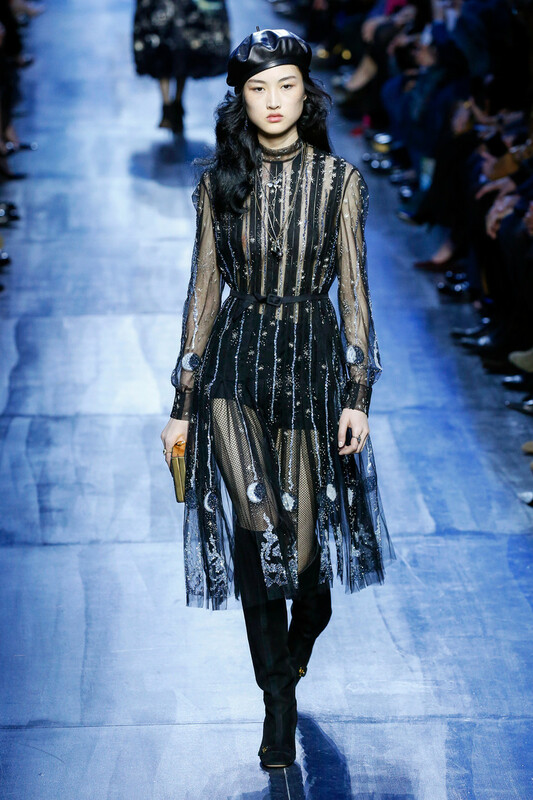 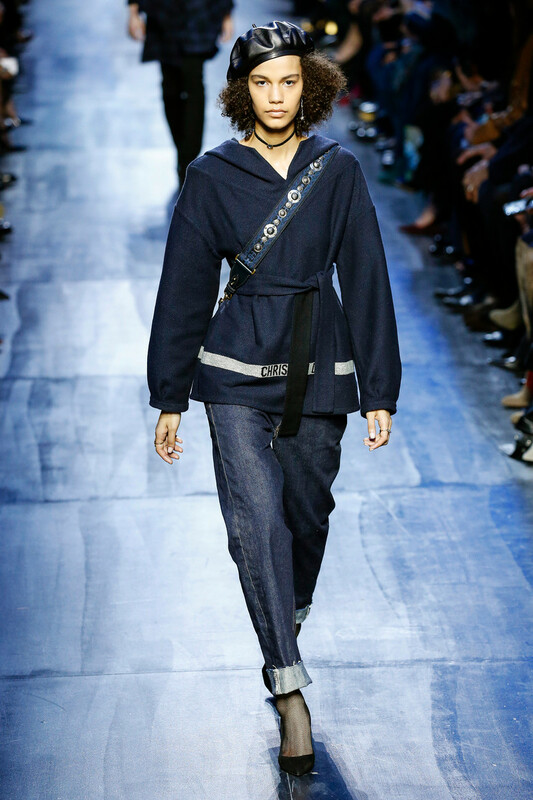 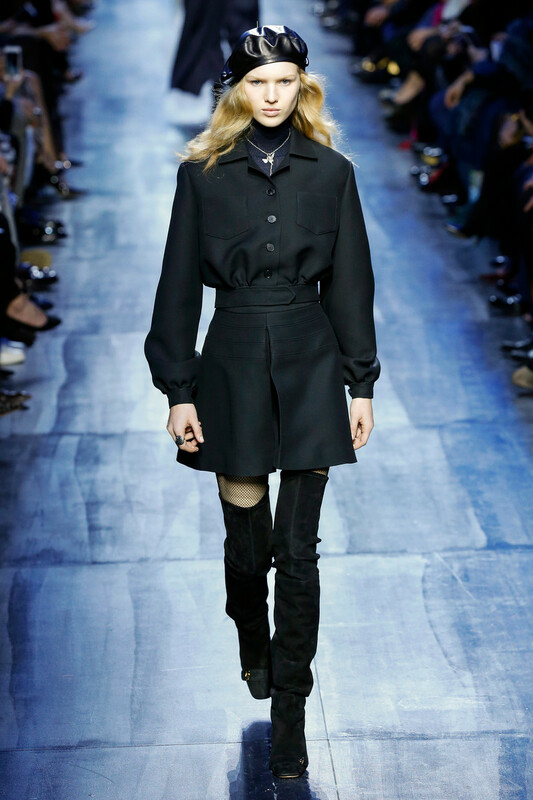 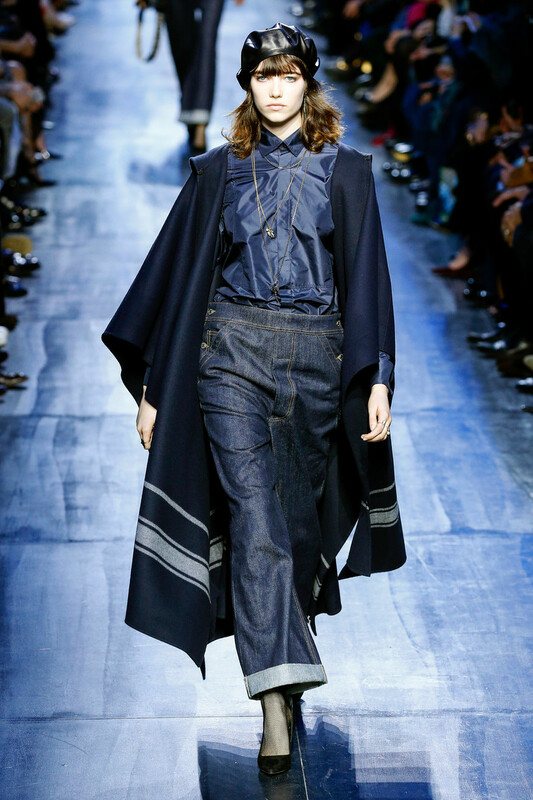 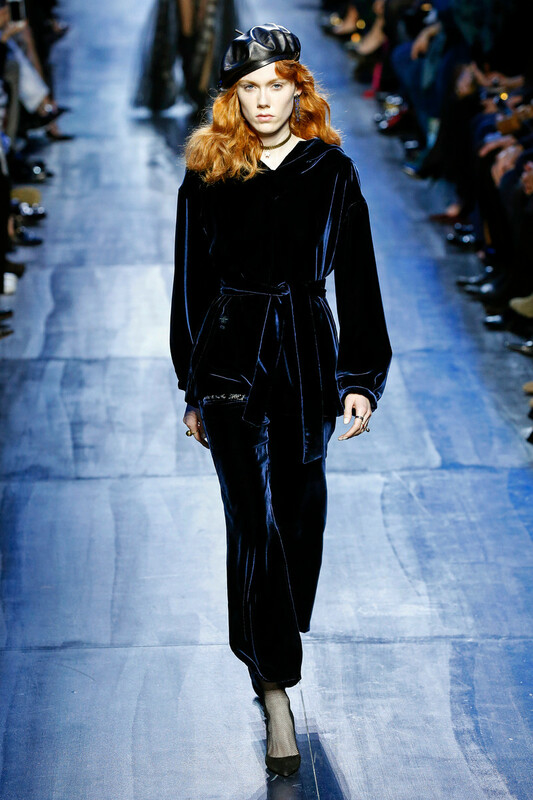 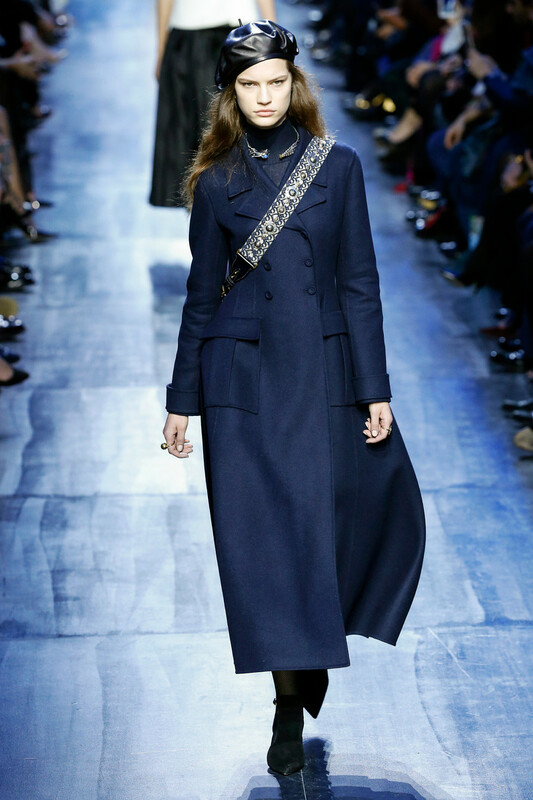 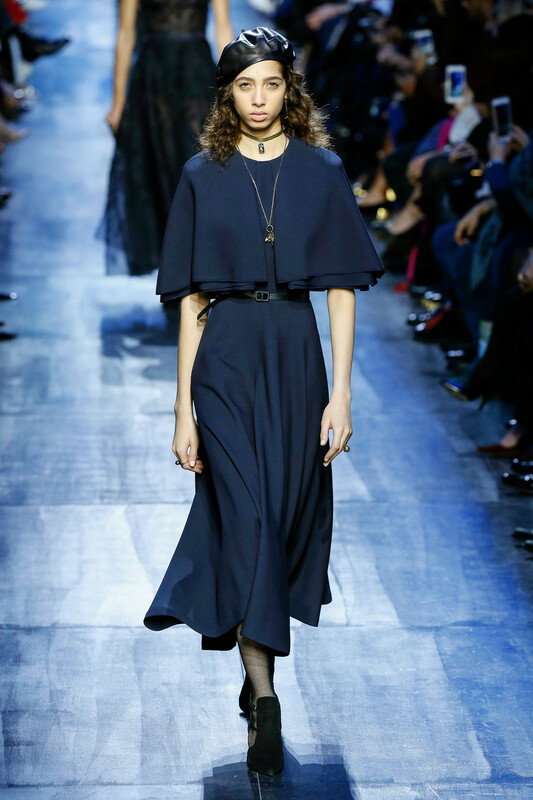 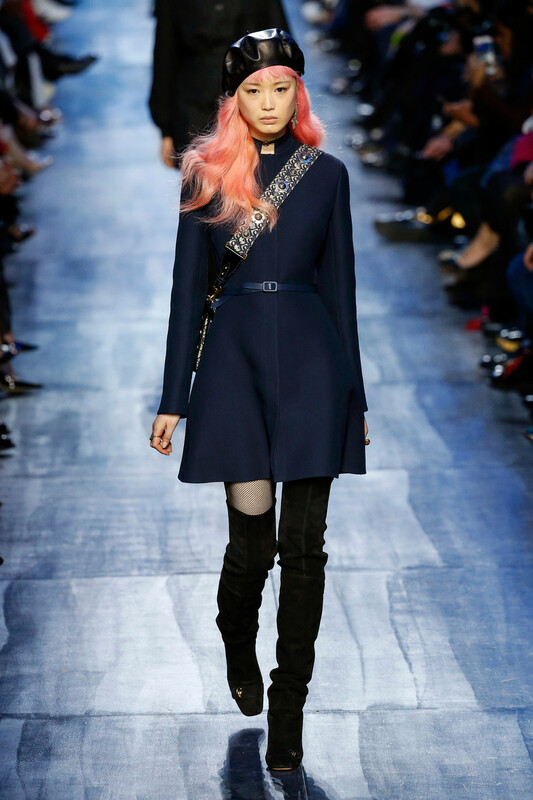 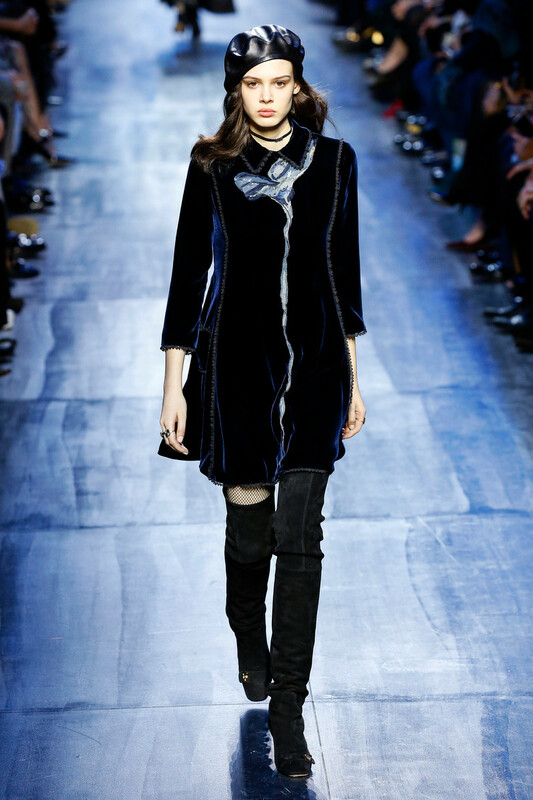 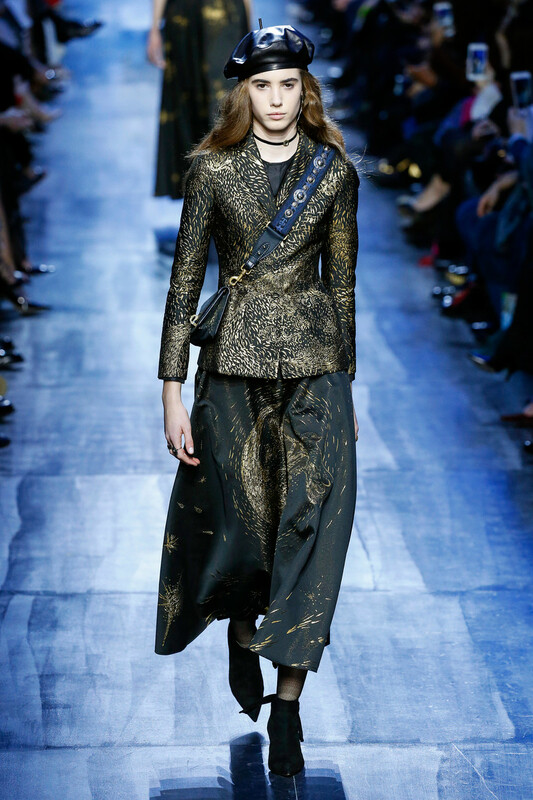 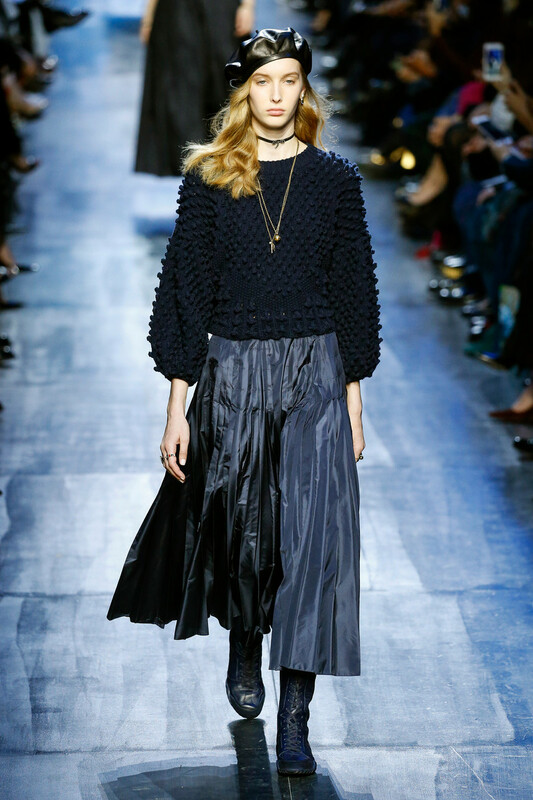 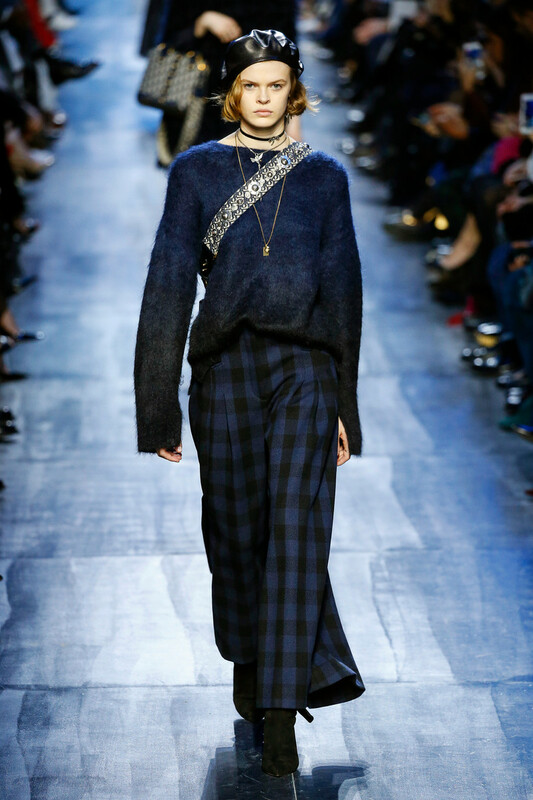 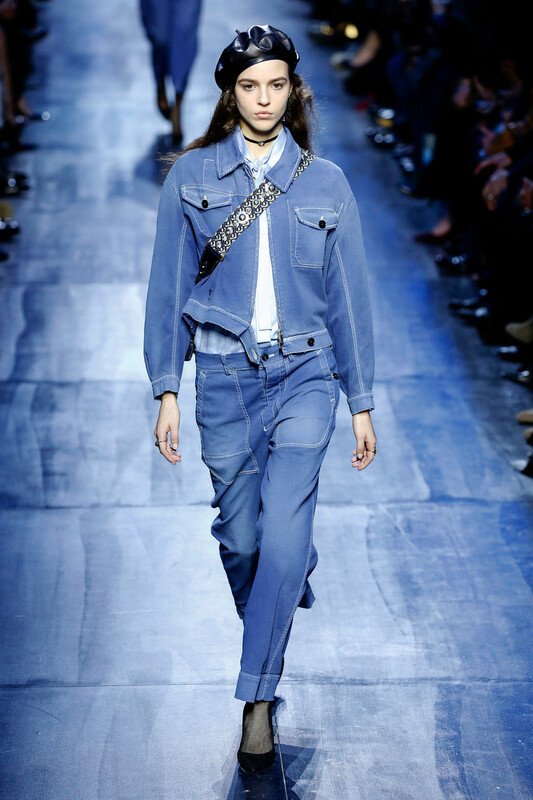 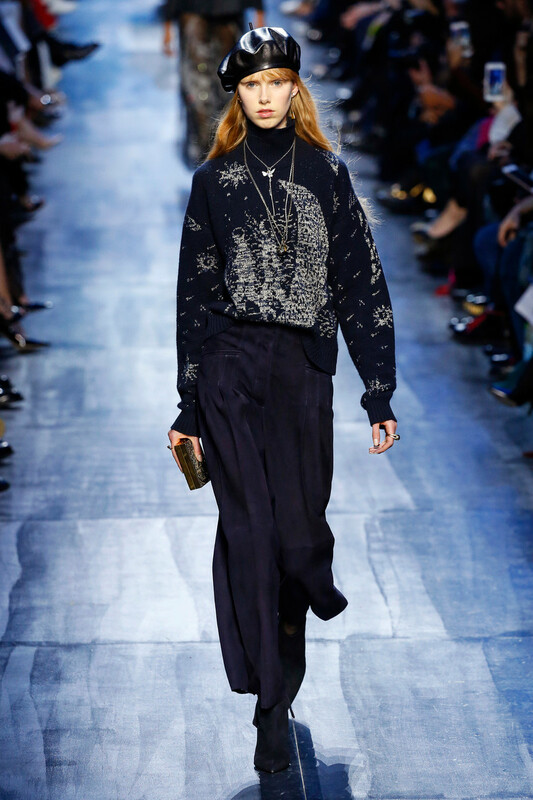 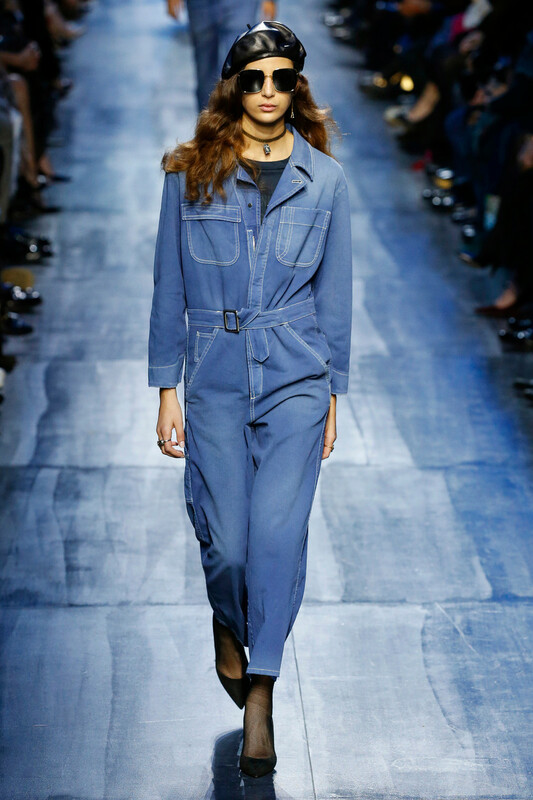 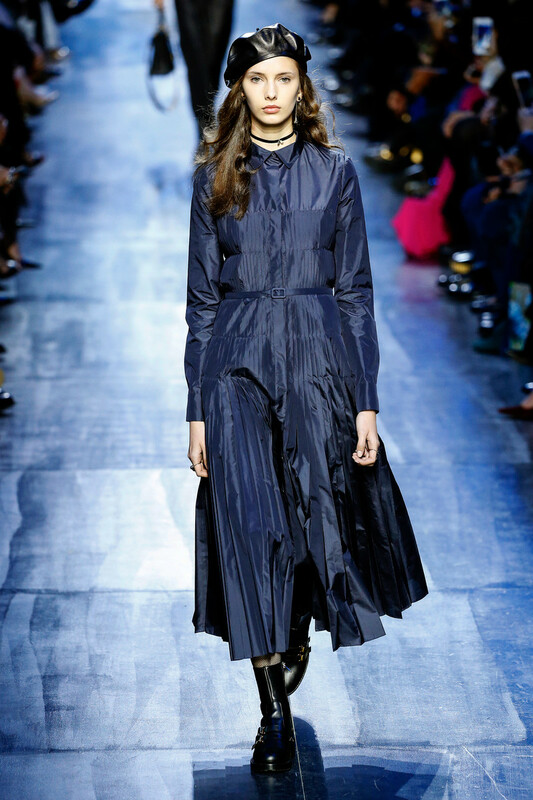 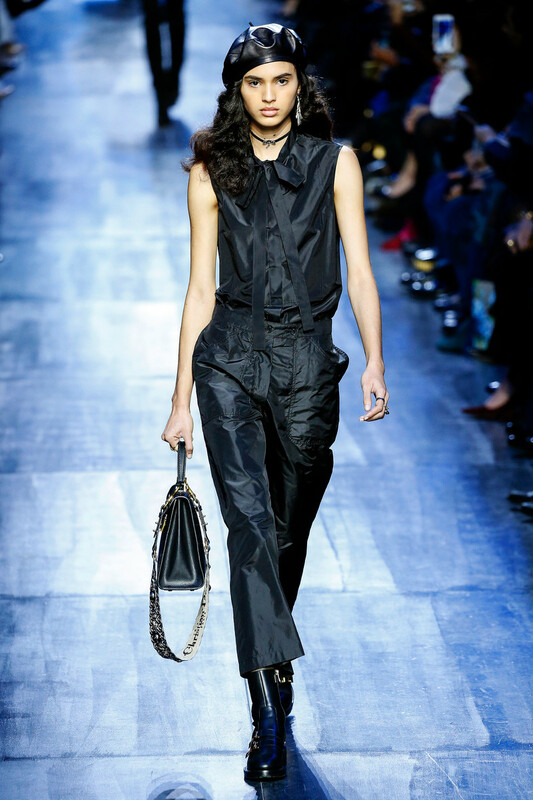 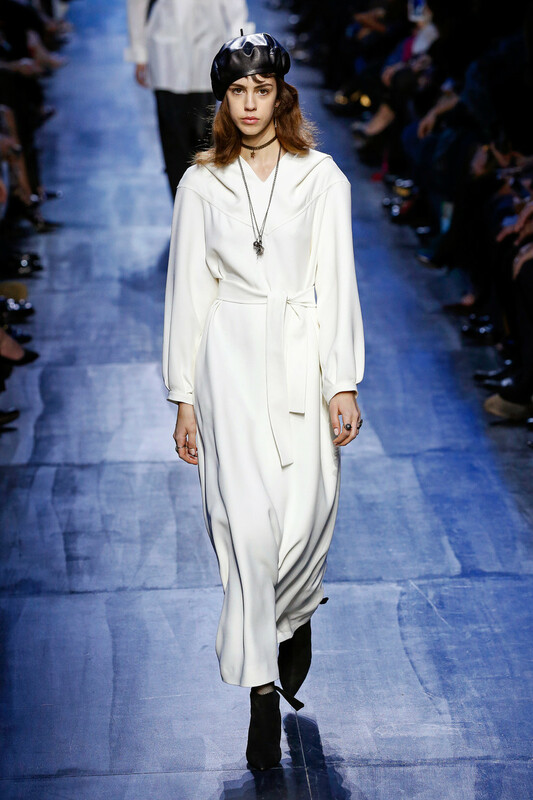 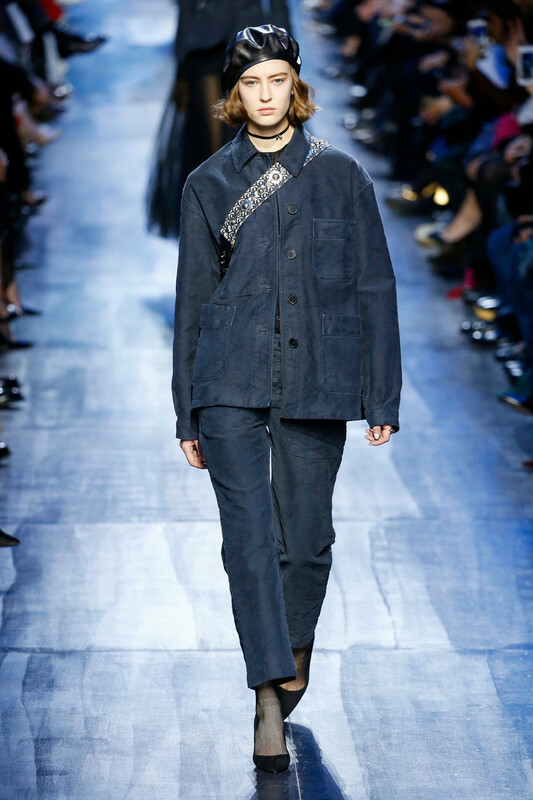 Maria Grazia Chiuri built her new collection for Dior on the color blue. 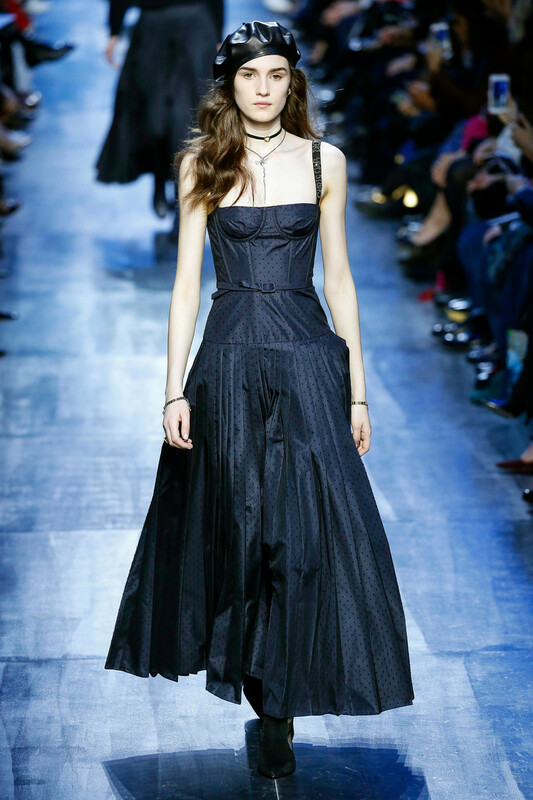 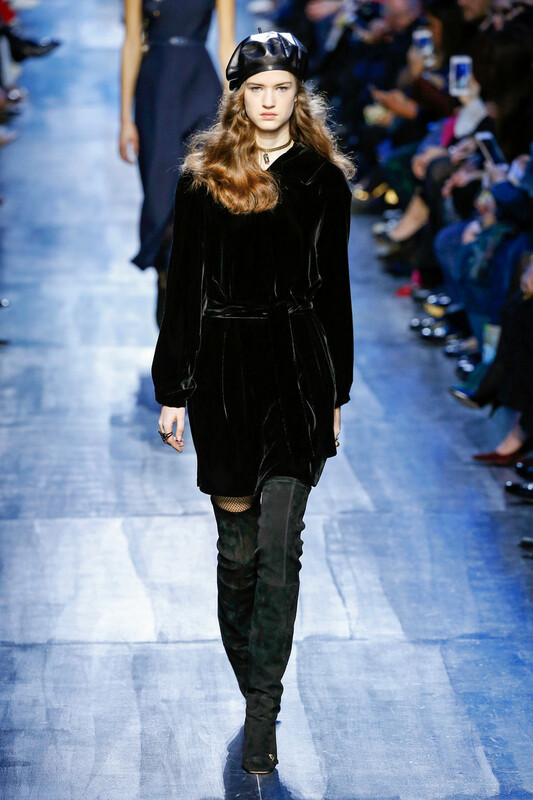 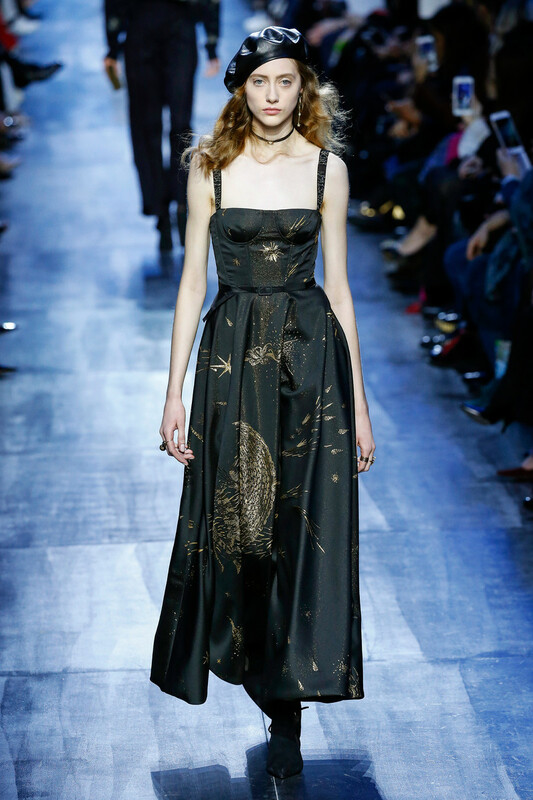 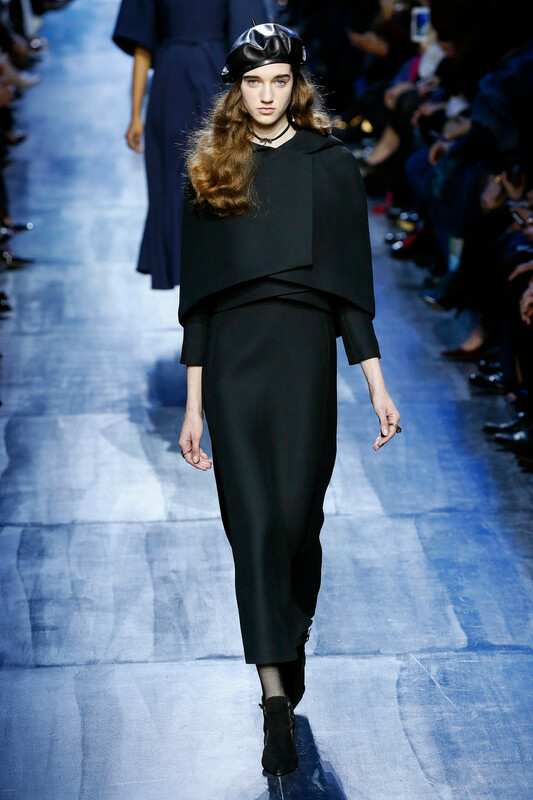 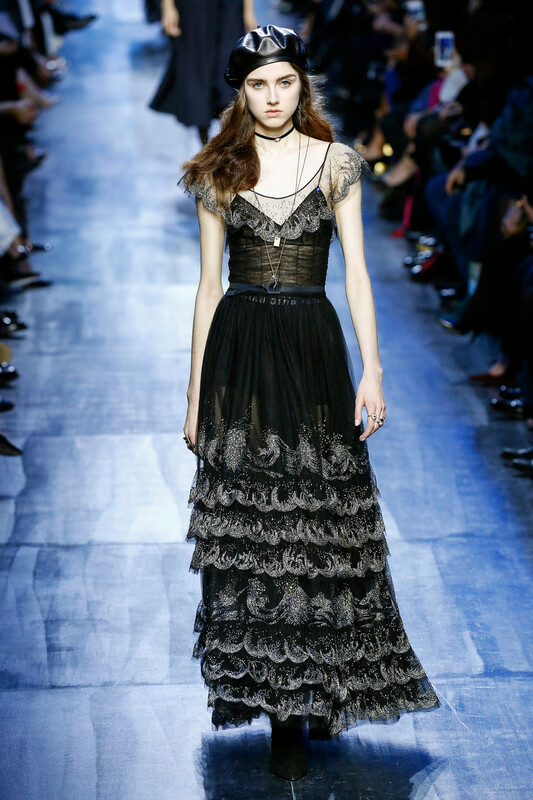 And according to the houses founder – Christian Dior – navy blue is the only color that can compete with black, since it has the same qualities. 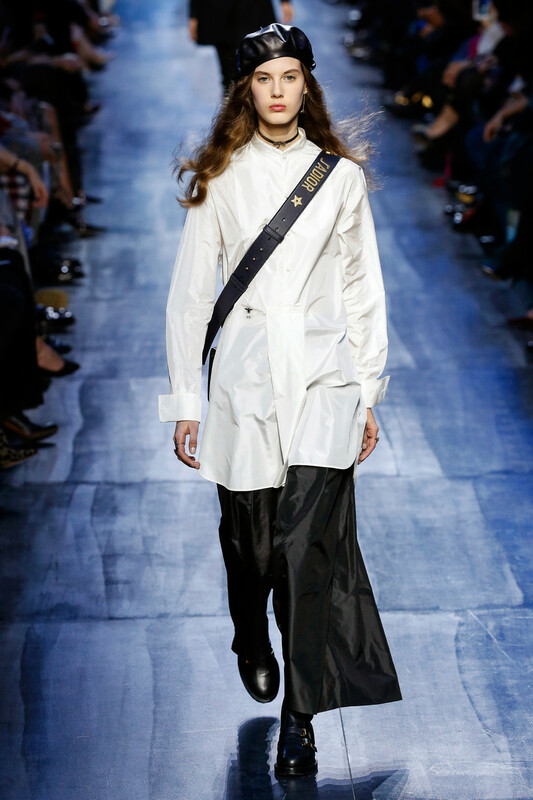 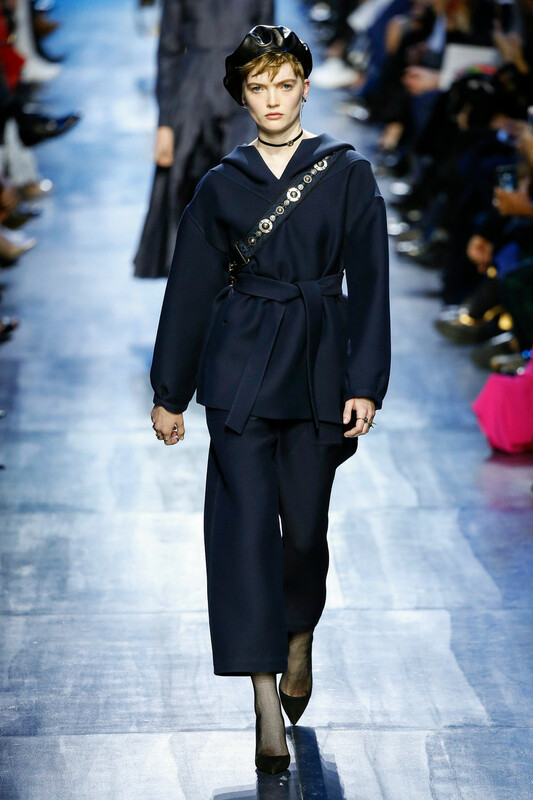 Chiuri opened with daywear: a hooded monk’s tunic in cashmere cut to jacket-length and belted over matching cropped pants. 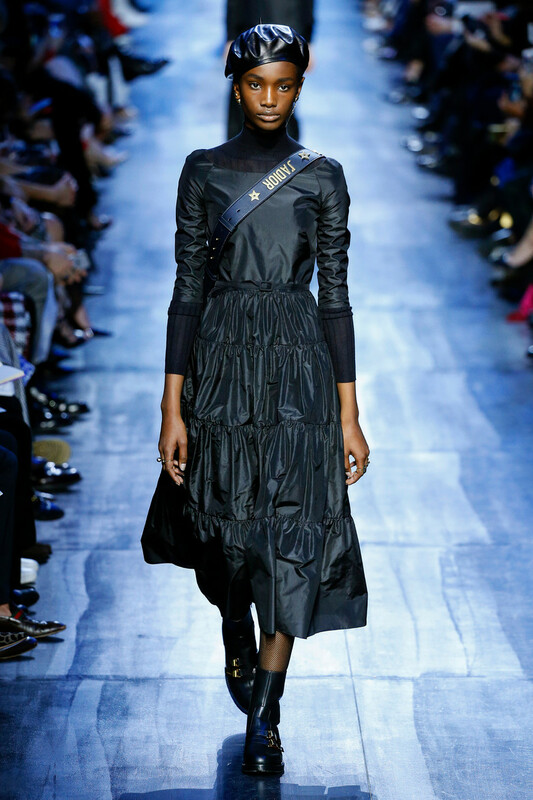 She listed uniform dressing among her references, and leather berets and cross-bodies slung with the bags in back imposed a militaristic ardor on some of the dark, unfussy clothes. 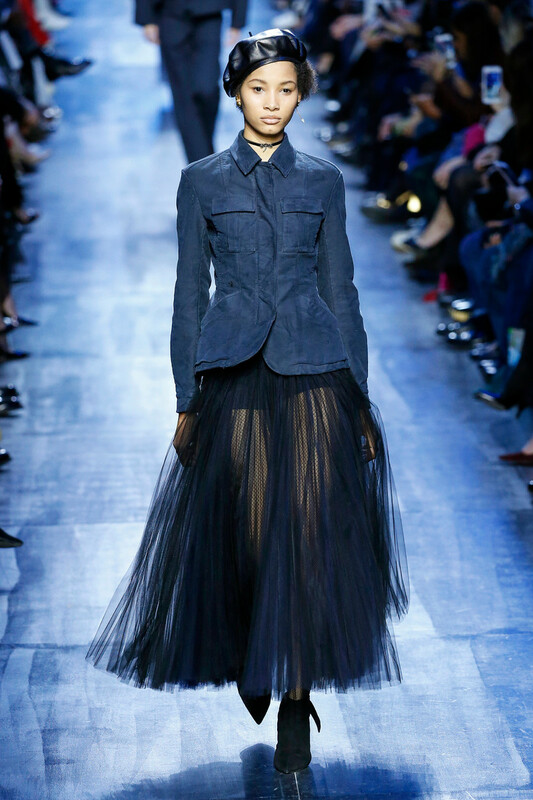 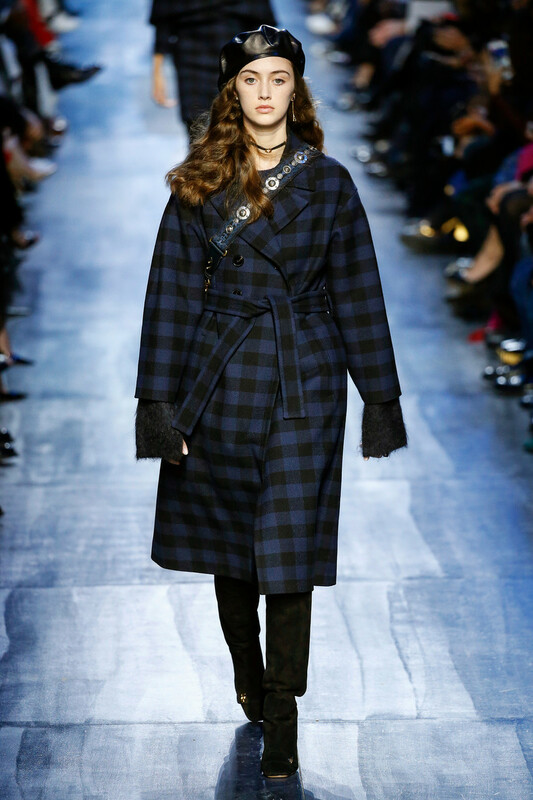 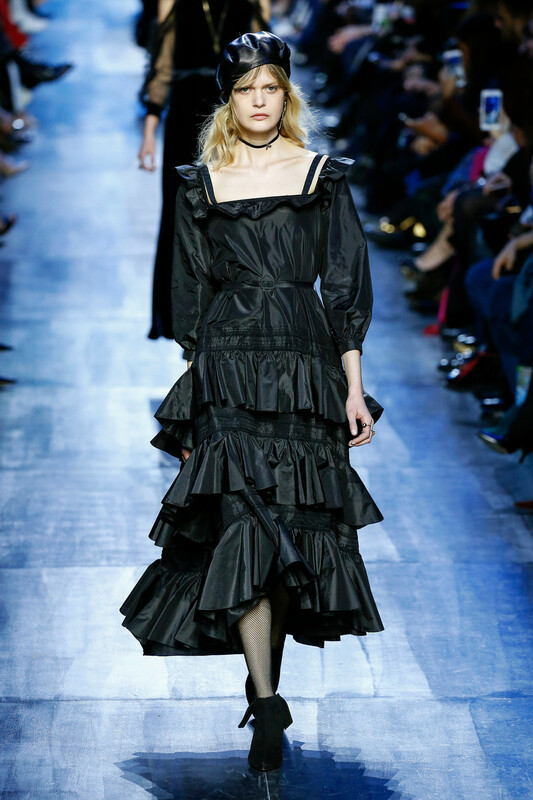 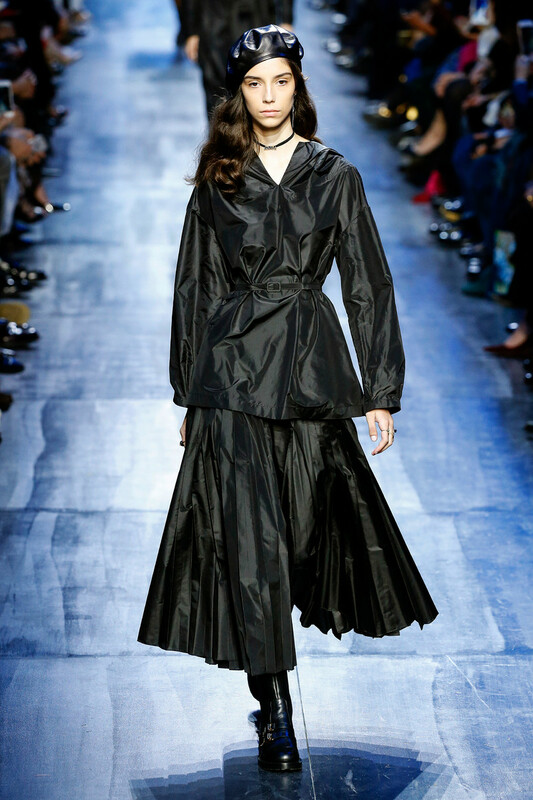 Chiuri went more obviously Dior with jackets over graceful full skirts, but less so with denim, which looked fine and young. 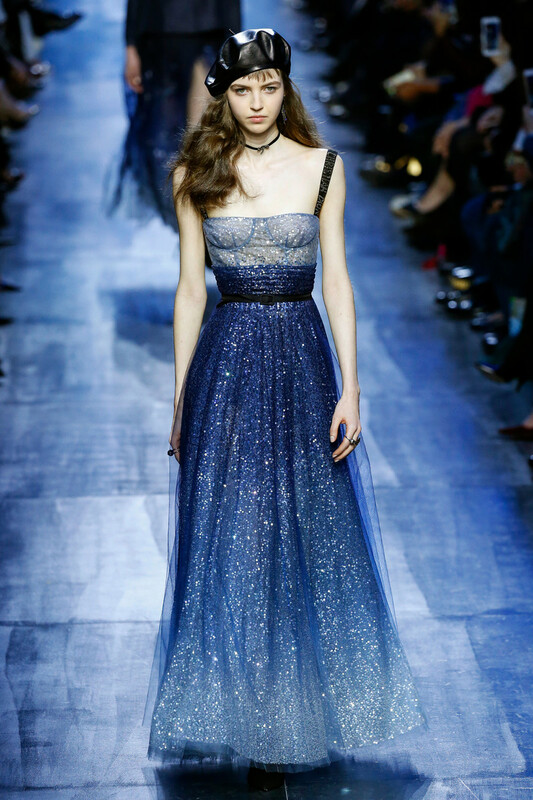 Evening proved interesting, as Chiuri’s models wore her moody, ethereal tulles and embroideries with relaxed attitudes.